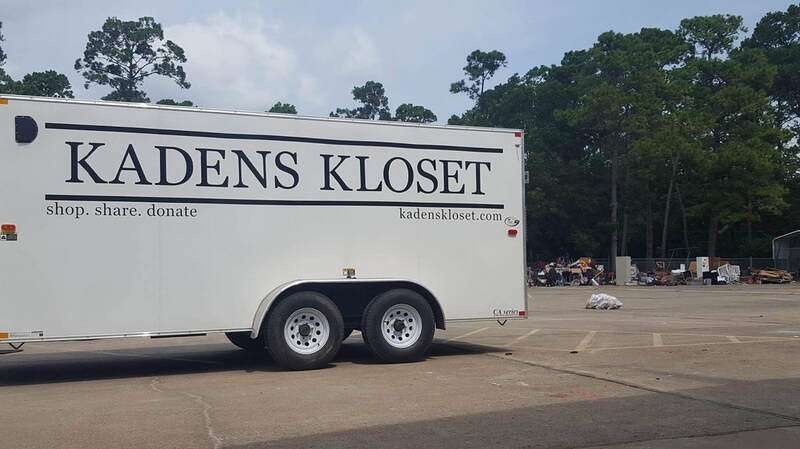 Kadens Kloset adds Disaster Relief to ongoing services! 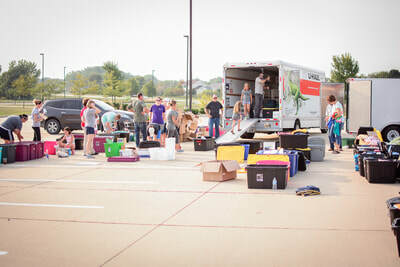 One year ago, we received a very generous gift...the gift of mobility! 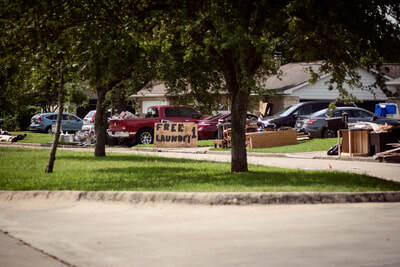 A 16ft. 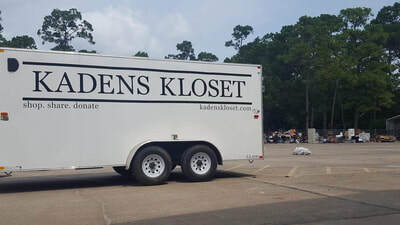 enclosed trailer was given to us to start our 'Kadens Traveling Kloset' project. 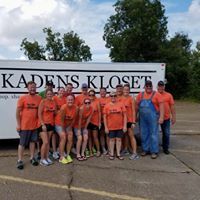 We were able to have a fully stocked Kadens Kloset that could be loaded up and taken into any community or event, then shopped by families and children in need. 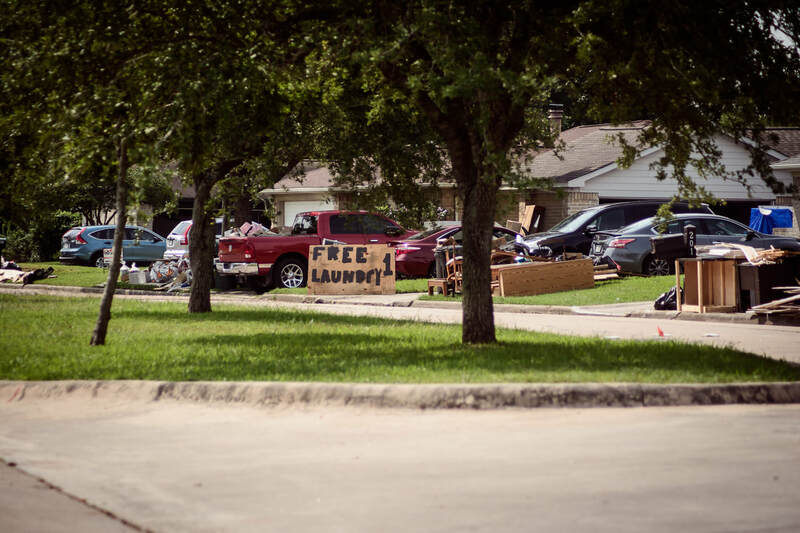 This idea sparked our desire to engage in some type of disaster relief work, but we had no idea how successful that project would eventually become! 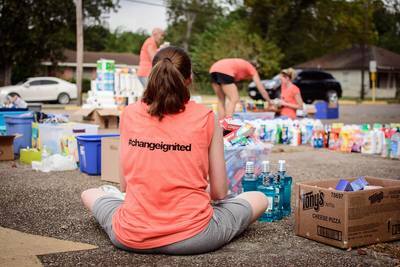 After Hurricane Harvey ravaged much of costal and inter-costal Texas, our friend Katie McBride was receiving real time updates from friends currently in emergency shelters. 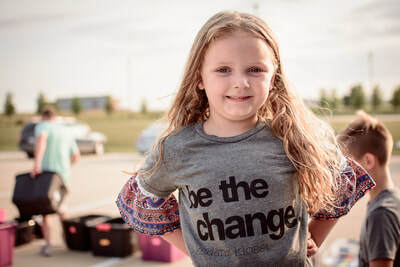 She had seen Kadens Traveling Kloset successfully serve before, and that's when she reached out to say "What can we do?". 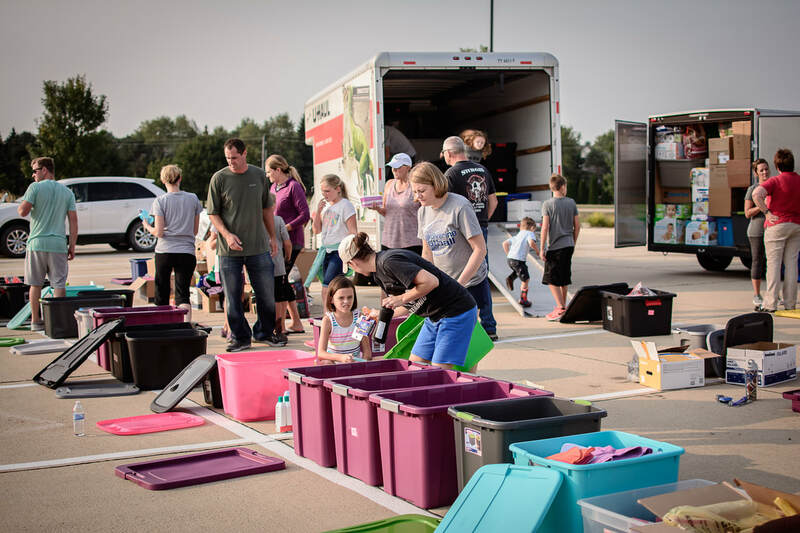 Katie came on board as our new Kadens Kloset Disaster Relief Coordinator, and the word quickly spread that our organization was headed to Texas! 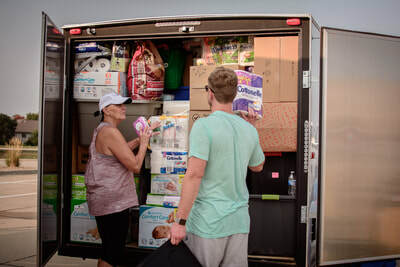 Within a short amount of time, entire communities sprang to action collecting water, food, supplies, hygiene needs and more to send to our friends down south. 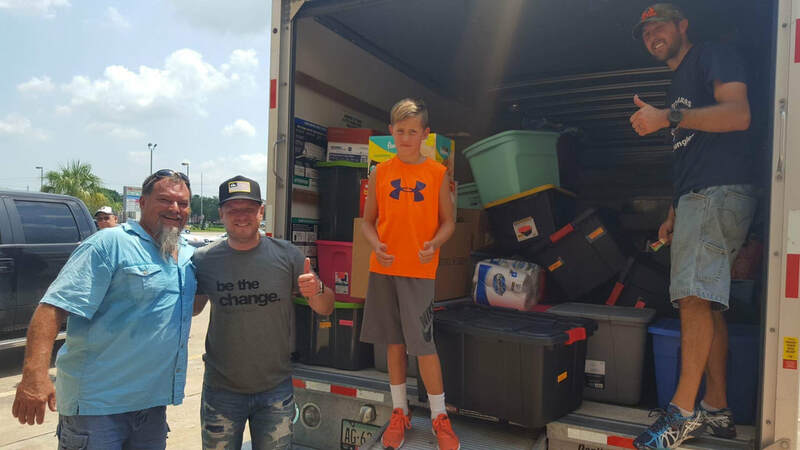 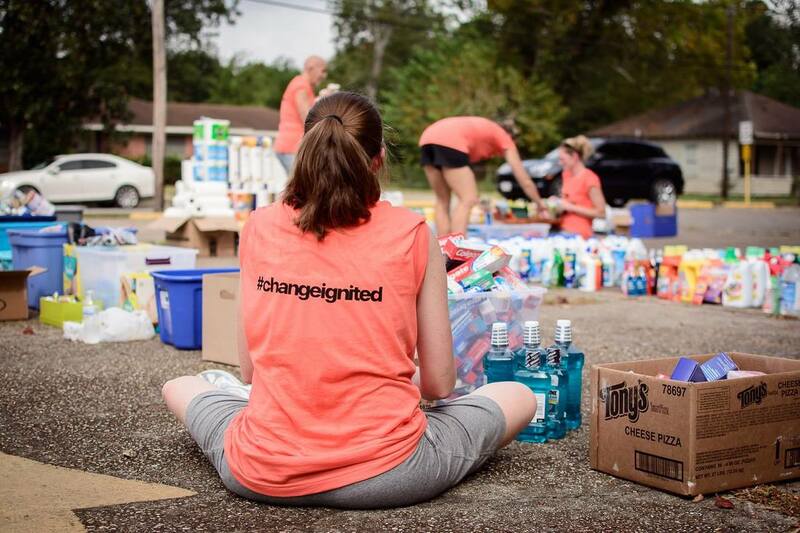 With the support and generosity of donors like YOU, we were able to deliver supplies, gift cards and necessities to our friends in Texas and Florida in the wake of Hurricanes Harvey and Irma. 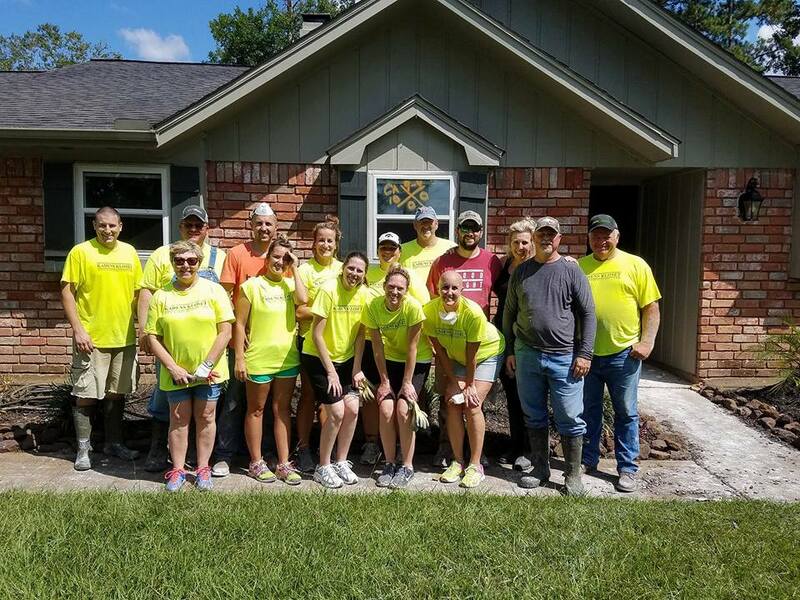 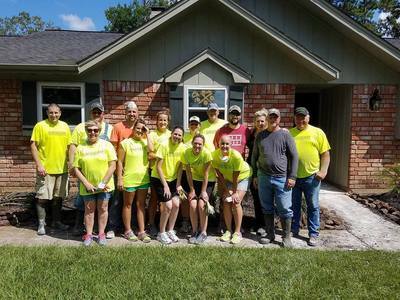 We even rolled up our sleeves and took a crew of 18 laborers ready to serve wherever needed! 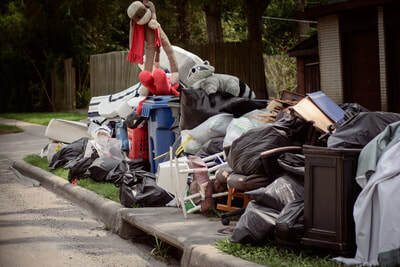 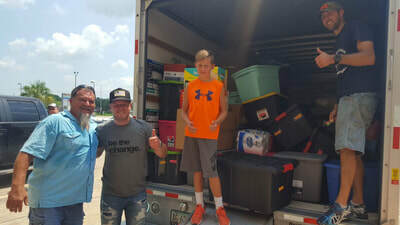 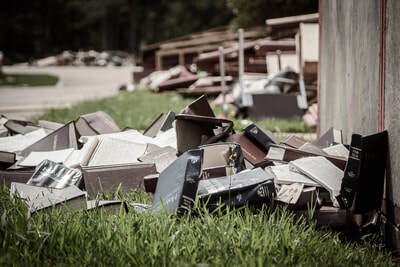 When you partner with our 100% volunteer run Kadens Kloset Disaster Relief Team, you can rest assured knowing that your donations are dispersed and distributed first hand to those in need! We were honored and humbled to be able to provide assistance directly to those that needed our resources the most, and look forward to serving survivors in the future through Kadens Kloset.